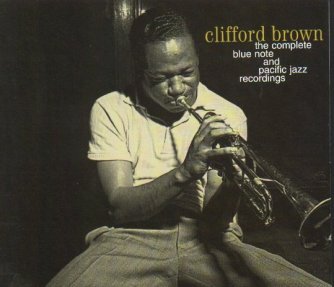 Clifford Brown was born in 1930, ten years younger than Charlie Parker. He took up trumpet at the age of 15, and 3 years later, he was playing with Parker, Miles Davis, and Fats Navarro. His style was heavily influenced by Navarro. According to jazz legend, his technique amazed Parker. Brown suffered an automobile accident in 1950-51, but when he came back, he played with Tadd Dameron's band and then toured Europe as part of Lionel Hampton's orchestra. When he returned, he played with Art Blakey's Jazz Messengers (good stuff!) and then co-led one of the 2 best small groups of the day with Max Roach (featuring Sonny Rollins on saxophone). Brown was being recognized as the best young trumpet player of the day and perhaps the best post-war trumpet player and the next great trumpet player that the torch would be handed down to (following Dizzy Gillespie). He playing could embody the best of Navarro and Davis. He had a golden tone, great rhythmic feel, and he could play unbelievably fleet runs. Just as he was coming into this recognition, at the age of 26, he and pianist Ritchie Powell died in a car crash. What makes it all the more tragic was that Brown did not have the drug abusing/self-destructive streak in him that so many of his peers possessed. 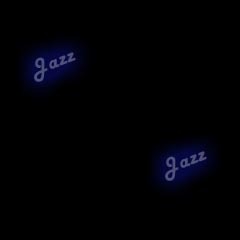 His death was one of the most grievous losses in jazz. Brown influenced just about every trumpet player that came after him, especially Lee Morgan and Freddie Hubbard. It's nearly impossible to find a jazz trumpeter today who doesn't have at least a little bit of Brown in his soul.